Whether it’s an ulcer acting up, GERD or acid reflux, reaching out for a good reliable medication is key. In this head to head matchup of anti-ulcer drugs, we have Aciphex vs. Nexium. These are two of the best known drugs used to treat gastrointestinal issues including gastritis, GERD and ulcer. They help reduce the level of acid in our stomachs so we don’t experience that awful burning sensation that’s often painful. Doing so also relieves and helps ulcers from developing or getting worse. We begin this comparison by reminding you that we are not physicians. And the article is purely for informational purposes only. It’s not meant to be used to prescribe or suggest any of the medications mentioned below. In the times we live in, there is a need to be aware of all information about any medication prescribed to you by a doctor. This is because certain medicines can have severe effects on your body due to not being informed properly. The sooner you know what you are taking, its intended use, and the side effects, the better you will be placed to know if it is the right medication or not. Aciphex and Nexium are common drugs often prescribed by doctors for patients suffering from ulcers. Both do the same job with Nexium having more uses than Aciphex. Even though both medications have a similar use, it is important knowing their differences. 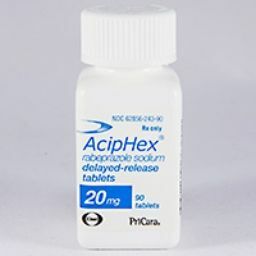 Aciphex, also known as Rabeprazole sodium, is used in treating patients suffering persistent heartburns that occur as a result of gastroesophageal reflux disease (GERD). When combined with clarithromycin and amoxicillin antibiotics, the medication also treats ulcers. Nexium on the other hand, treats erosive esophagitis also caused by gastroesophageal reflux disease. Patients who use non-steroidal, non-inflammatory medication can also use Nexium to treat stomach irritation. Both Nexium and Aciphex are widely used in treating the Zollinger-Ellison syndrome, a condition that sees the stomach produce excess gastric acid. Patients who suffer from omeprazole magnesium sensitivity are highly not advised to use Nexium. That’s because omeprazole is the active ingredient in Nexium. And any allergies to this may result in side effects. Patients also suffering from raberprazole sodium sensitivities are also advised not to use Aciphex for the same reason as omeprazole in Nexium. In case you experience such allergies after using Nexium or Aciphex, contact your doctor immediately. As with most modern medication today, both of these drugs come with some side effects. This is one reason why doctors sometimes put you on different brands even if they’re in the same drug class. 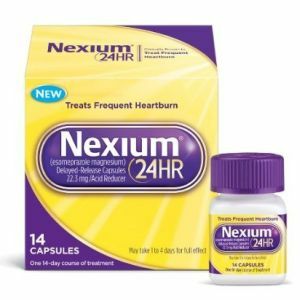 It is also why even if Nexium and Aciphex are both Proton Pump Inhibitors (PPIs), they both work differently and come with varying side effects. Common side effects that can occur when using Aciphex include flatulence, pharyngitis, diarrhea, constipation, vomiting, nausea, headache, dizziness and sore throat. 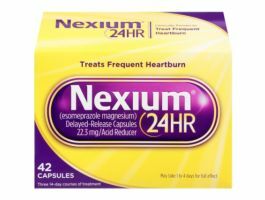 Those taking Nexium might experience dry mouth, flatulence, dry cough, headache, nausea, vomiting, abdominal pain and diarrhea. There are some rarer but, more complex side effects that one can also experience from use of Aciphex and Nexium. These include fungus growth in the mouth, liver damage, or development of cancerous stomach polyps. So, please make sure you seek a doctor’s advice before using any of these medication. And just as importantly please inform your physician the moment you experience or develop any of the side effects from use of these drugs. This will let them decide on whether to lower your dose, or switch you to another medication that will suit you better. Aciphex can be taken once each day on a full or empty stomach. You are not supposed to chew, crush or break the Aciphex delayed-release tablets. They should be swallowed whole. 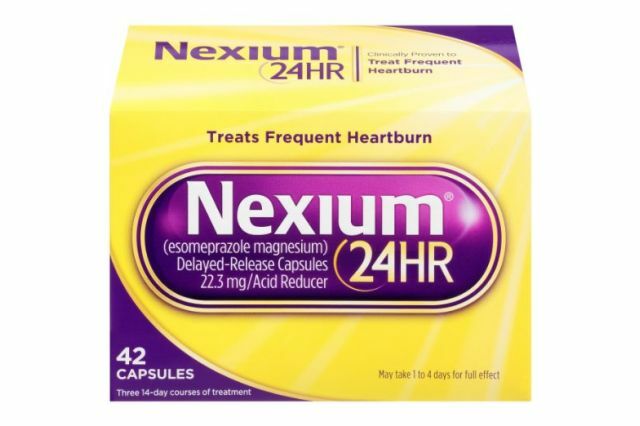 Nexium should also be swallowed whole without breaking, chewed or crushed. They are to be taken an hour before eating to work properly. If you are experiencing swallowing problems, you can open the capsule and mix the pellets with apple sauce then take. Both medications are great if you are suffering from a heart burn or ulcers. The difference between Aciphex and Nexium vary in what they’re able to treat as well as their side effects. Most of the times, a doctor will prescribe for you the right medication depending on the level of your condition. 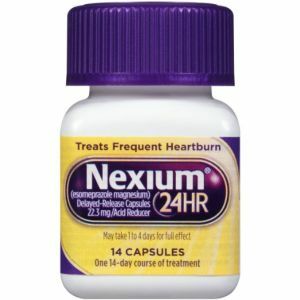 Nexium offers a long lasting solution to those suffering from frequent heartburns. On the other hand, Aciphex is also a great medication when trying to treat heartburn. What Do Water Pills Do? Food & Nutrition, General Health, Health Issues. permalink. Is Sriracha Bad for You? Do Antibiotics Make You Gain Weight? Matula Tea: What is It and Is It Healthy? Black Poop and Alcohol: Should You Be Worried? How Do Stool Softeners Work?